With a strong reputation for unparalleled quality and customer service, Sullivans is dedicated to finding, developing and delivering the latest, most exciting items available for the home. 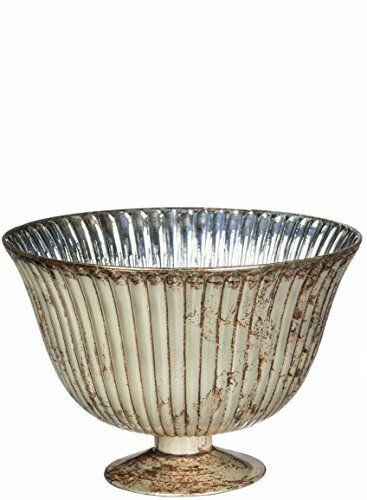 Sullivans Antique Ribbed Glass Compote Vase adds a beautiful decorative touch to any home or office. This stylish vase measures 12 inches high and makes a great housewarming, wedding, or birthday gift. It features a copper/antique grey color and can be used to create an eye-catching centerpiece. Today, Sullivans offers thousands of items in Everyday, Seasonal, Branded and Exclusive lines. These lines are built on tradition, quality and value, helping customers stay ahead of the changing times. Sullivans - Home Begins Here!